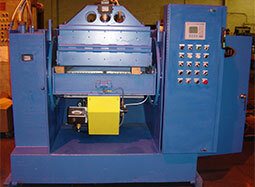 Equipment Manufacturers International, Inc (EMI) is a global leader in the design and manufacturing of sand core machinery, auxiliary equipment, and state-of-the-art complete core room systems. 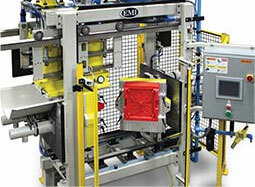 EMI gained expertise in core room solutions while originally supplying cores to the automotive industry. We acquired valuable insight into the reliability and maintainability required to keep a core room operating efficiently. This valuable experience, combined with design innovations and strategic product line acquisitions, place EMI in a favorable and unique position to furnish the right core making solutions. 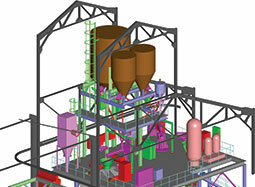 EMI is an engineering driven company. Having acquired Osborn, Sutter, and GF Core Machines many years ago, we have delivered improvements to these traditional designs that offer more reliability, faster production rates, and simplified maintenance. Our Core Solutions include; cold box – isocure, shell, hot box – inorganic, and no-bake. We provide complete core cells including gas generators, core sand preparation systems, central amine systems, and core handling systems (including robotic applications). 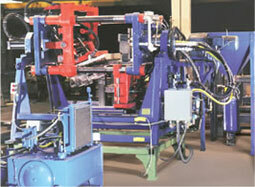 EMI is the only manufacturer to produce genuine Osborn and Sutter/GF replacement parts and new equipment. We carry an inventory of OEM spare parts and provide trained field service technicians. Contact our application specialists at 216-651-6700 or use the contact us form on this page to learn more of how EMI can improve your core making operations.